As I have mentioned a few times, I have a backlog of review books because in the early days of reviewing accepted way more than I could read. I also have a backlog of emails and while going through them I found a few ebooks that the author sent with their request. An Angel's Alternative is one ebook I found hidden in my mound of unread emails so I decided to give it a chance. An Amazon affiliate links are used on this site. A free book was provided for an honest review. 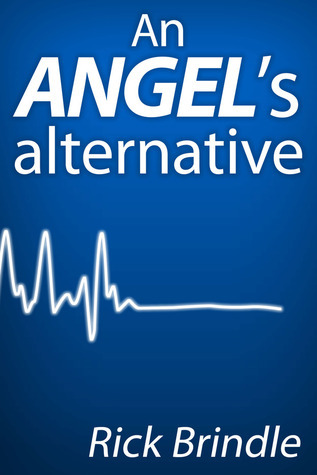 An Angel's Alternative relates the struggles faced by a group of nurses at a UK hospital. The cast of characters is a bit large, including extraneous characters in the nurses' personal life as well as hospital staff. In the beginning, it was difficult to tell which storyline was the main one and which were secondary. This overload of characters and situations made it difficult to connect to the characters. Therefore, by the time the story had progressed to narrow the focus I didn't really care about the characters. The story is very much written for a UK audience as some of the medical administrative positions were unfamiliar to me and not explained - like who is the Registrar? I would have liked for the plot to have been a little tighter, which could have been accomplished by cutting a few of the minor character's subplots. Some references/explanations as to the UK's medical system would help the general US reader to more fulling engage in the story. But overall it was an easy read that shed light on important issues.